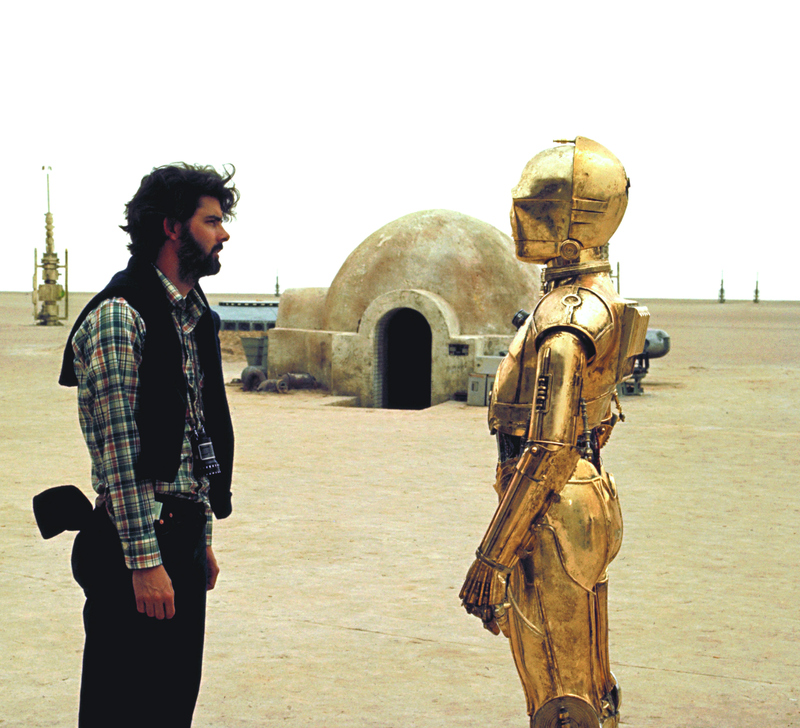 George Lucas and Anthony Daniels, who plays C-3PO, on the set of his movie Star Wars: Episode IV: A New Hope, 1977. 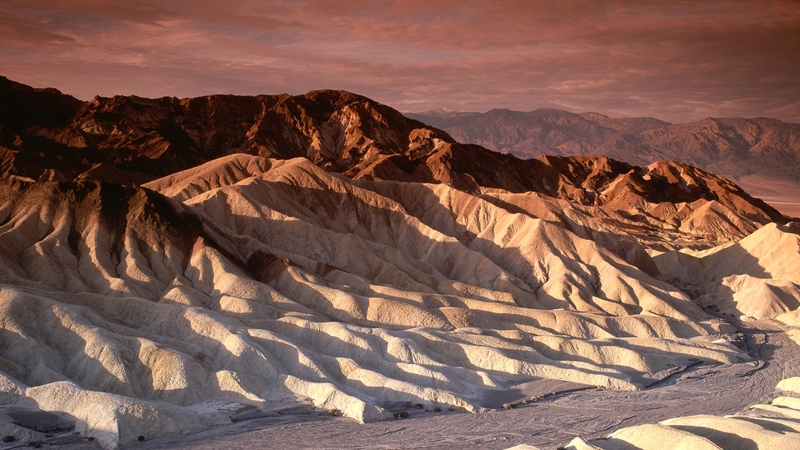 The dusty landscape of California’s Death Valley National Park was used for Mos Eisley in Episode IV: A New Hope, transporting viewers to a galaxy far, far away. Not all AT-AT (All Terrain Armored Transport) walkers were larger than life. 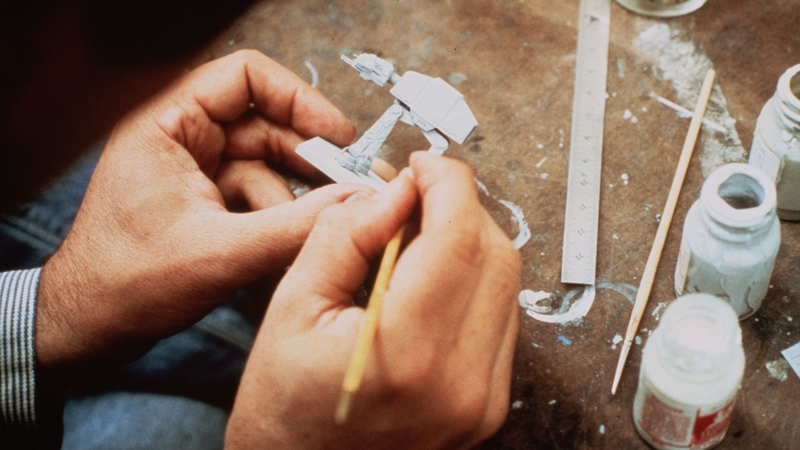 Many miniatures were created to form their army in Episode V: Empire Strikes Back. 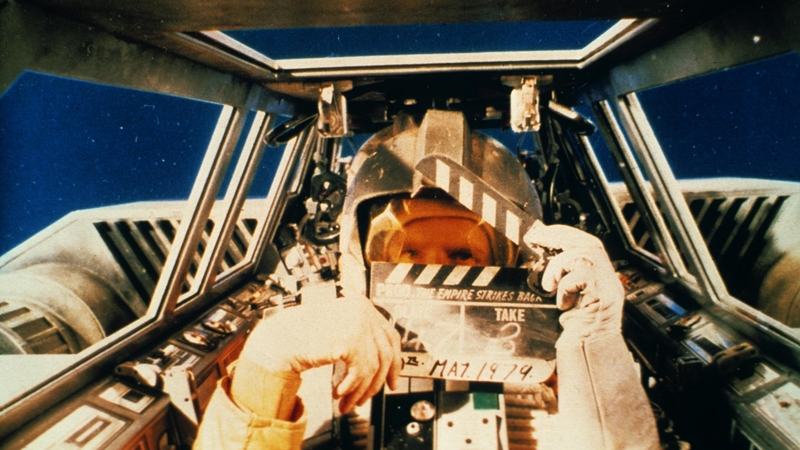 A behind-the-scenes look at how the epic battle scenes from Episode IV: A New Hope were filmed. 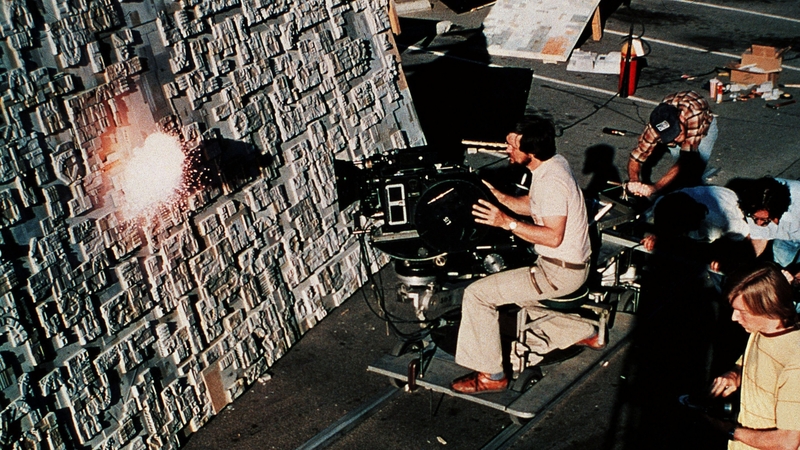 Ancient Mayan temples served as the Rebel Base from Episode IV. 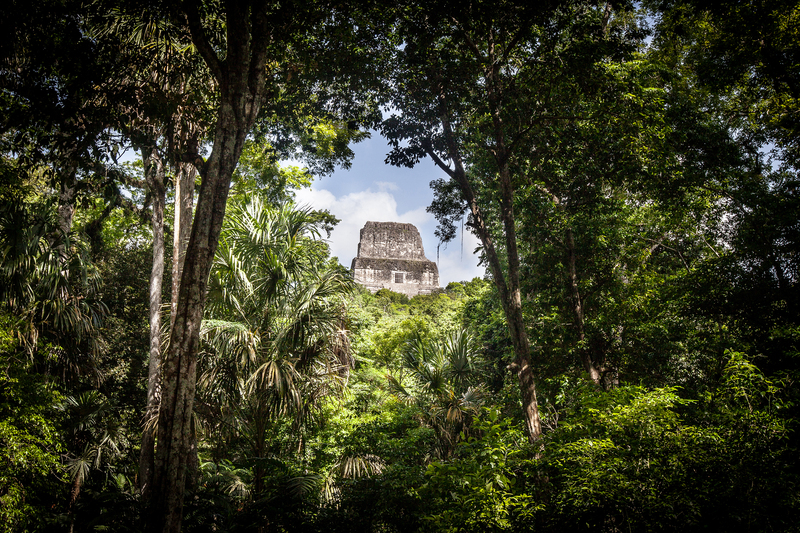 The temples, surrounded by Guatemalan rainforest, date back as far as 400 B.C. 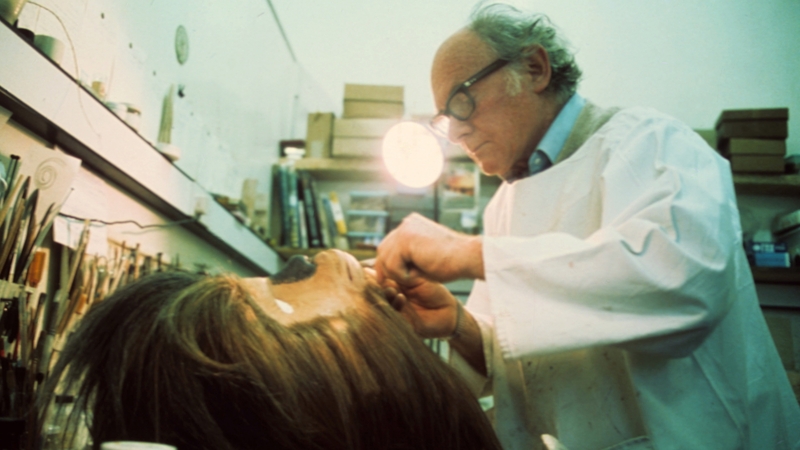 Stuart Freeborn, a motion picture makeup artist, working on Chewbacca’s face mask. Freeborn also created the look of Yoda. 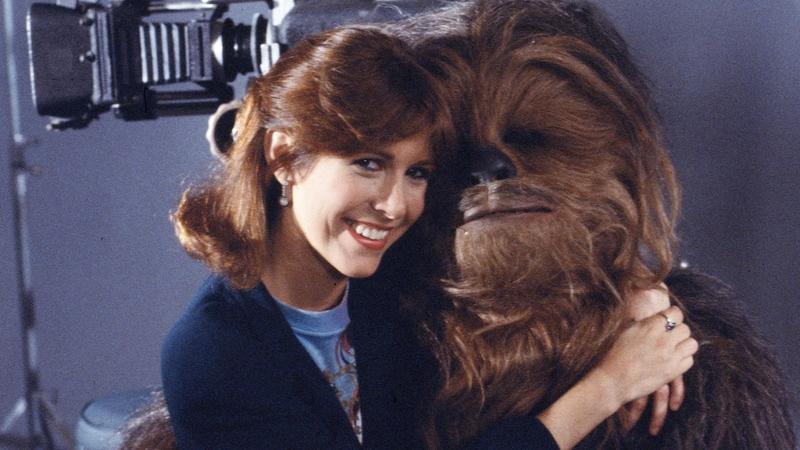 Carrie Fisher, who plays Princess Leia, with Peter Mayhew, in costume as Chewbacca, on the set of Classic Creatures: Return of the Jedi, a 1983 documentary about the unusual beings that populate the Star Wars world. 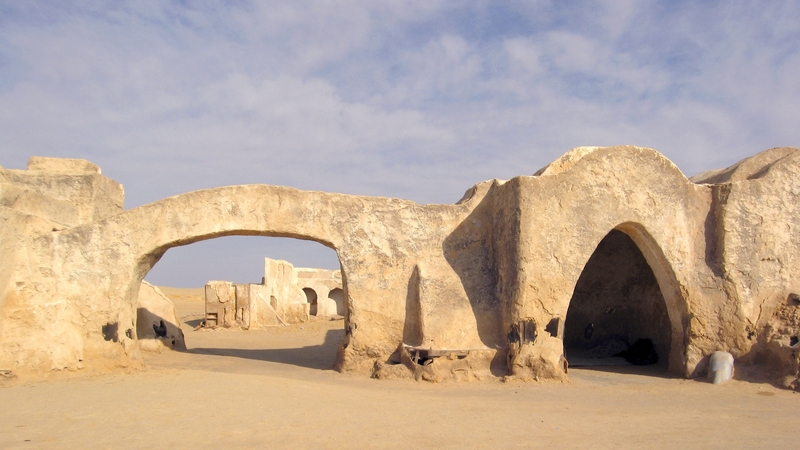 The Star Wars set of Mos Espa remains in the middle of the Sahara desert in Ong El Jemel, Tunisia. 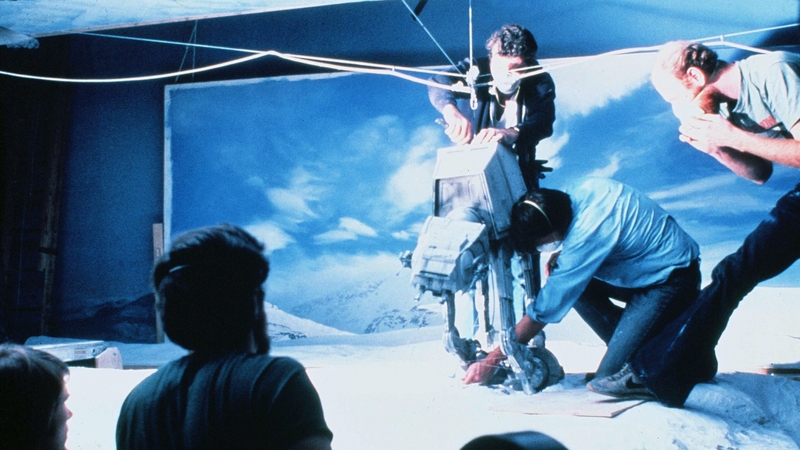 AT-AT walkers looked much bigger on the silver screen than in real life. 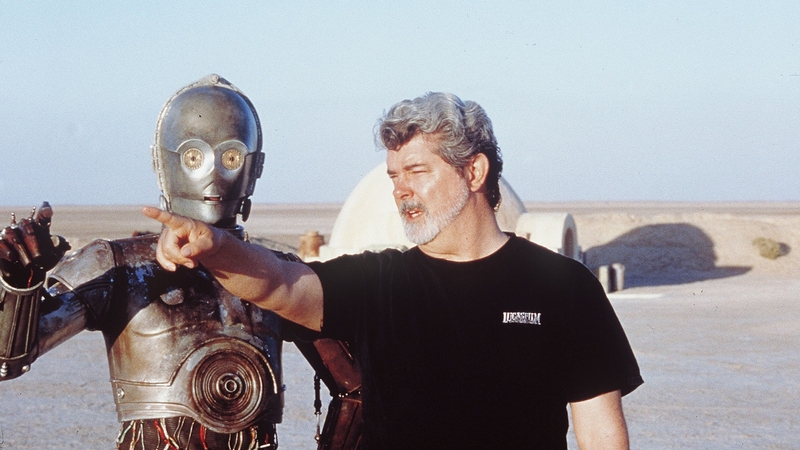 Pictured here again are Lucas and Daniels, 25 years later on set for Episode II – Attack Of The Clones. 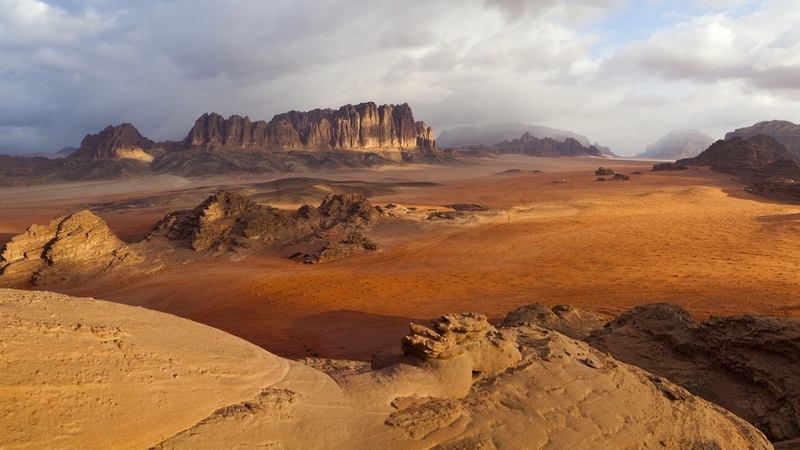 Wadi Rum, a sandstone valley in southern Jordan, set the stage for Jedha in the popular Star Wars spin-off, Rogue One. 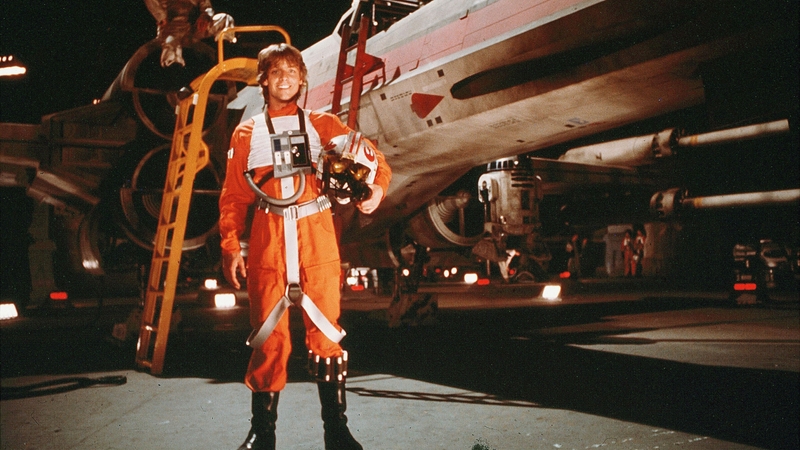 Mark Hamill, who plays Luke Skywalker, on the set of Star Wars Episode IV- A New Hope. 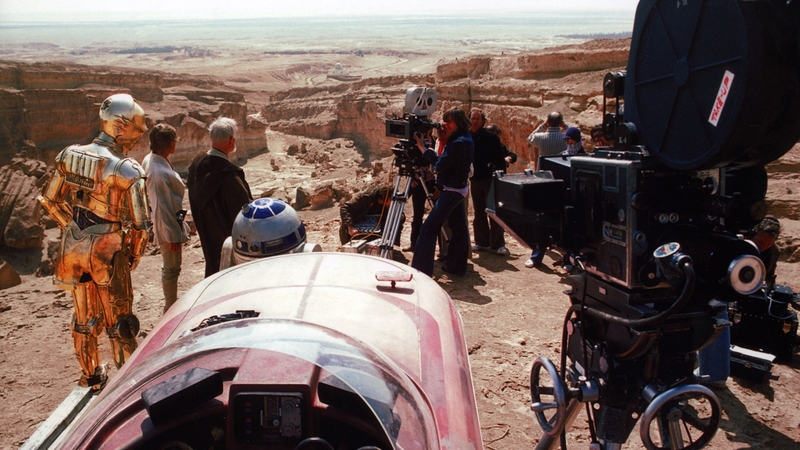 C-3PO, Luke SKywalker, Ben Obi-Wan Kenobi and R2D2 filming on the set for Star Wars Episode IV- A New Hope.